Drone Vibes Interview with Fred Borda from ProDrone – we asked Fred about ProDrone’s industrial application drones and B2B drone development and business integration services. PD6B-AW-ARM, a large-format drone equipped with two internally-developed robotic arms, enabling it to directly accomplish a variety of tasks. Examples of these operations include the abilities to grasp and carry differently shaped cargo using its arms; to attach or join things; to cut cables; to turn dials; to flick switches; to drop lifesaving buoys; to retrieve hazardous materials, etc. Drones must be able to perform a variety of operations at high altitudes, over long distances, and in places where it would be too dangerous for humans. 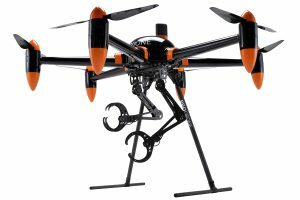 The PD6B-AW-ARM is based on PRODRONE’s large capacity PD6B-AW airframe, which has a maximum payload of 20kg (44 lbs.). For the new model the company’s development team designed, produced and attached two high-performance, completely original 5-axis robotic arms. 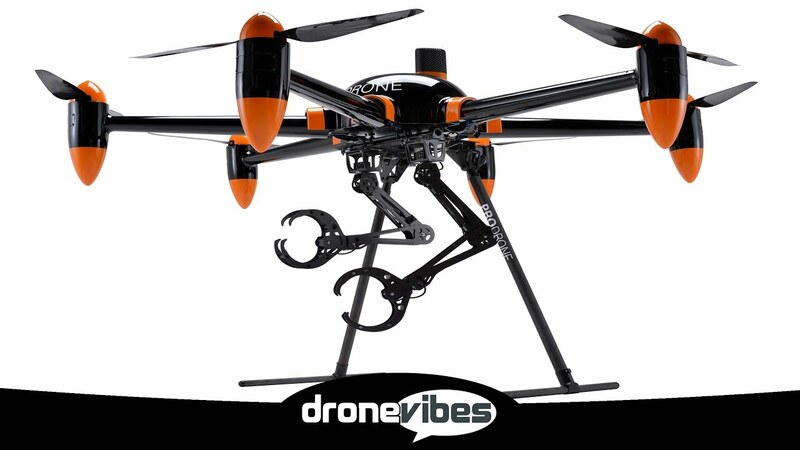 They give the drone versatility to perform across a wide range of situations. The robot arms can carry a maximum payload of approximately 10 kg (22 lbs. ), and with flight time of up to 30 minutes, this drone can also excel at longer tasks. 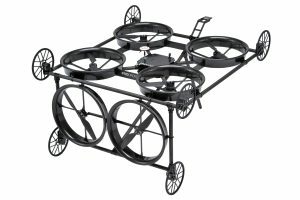 PD6-CI-L is a self-propelling surface-clinging drone able to inspect both ceilings and vertical surfaces, for the civil infrastructure inspection market. The PD6-CI-L addresses a key pain point in bridge inspection. Japan’s Ministry of Land, Infrastructure, Transport and Tourism has identified 700,000 road bridges as requiring inspection, but unique environmental conditions like powerful wind gusts often make it difficult for traditional drones designed to hover to complete inspections. 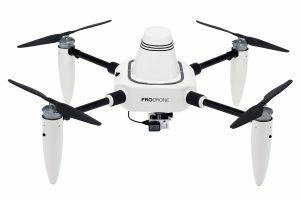 PD4-AW is a small four-rotor drone that is capable of flying in most weather conditions, and can even make water surface landings.It has a maximum payload of 3.5 kg, suitable for aerial filming and photography, land surveying and spot inspections. A power supply cable allows for a longer flight time that would not be possible with the installed battery alone. PRODRONE is a B2B industrial drone system manufacturer established in Nagoya, Japan, in January 2015. Since its founding, PRODRONE has developed an assortment of customized industrial drones on consignment for numerous drone service providers and manufacturers in the industrial drone market. The company’s product line include large drones that can carry 30kg (66lbs) of payload, drones specifically designed for laser surveying, drones capable of surveying at high- altitudes over 5,500m (18,000ft), drones able to land on water, drones capable of reading RFID at high speeds, drones designed to inspect bridges and other infrastructure, all-weather large- format platforms, drones for pesticide spraying, numerous drones for academic research, and many more.